• An “artifact” book detailing the tenets of the Longinian faith. • Can be used as a prop in any Vampire: The Requiem or Mind’s Eye Theatre: The Requiem game, or can be used by Storytellers and players as a resource from which to draw new roleplay and story ideas. 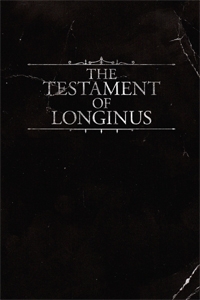 • A “revised edition” that digs deeper into the mysteries surrounding the followers of Longinus, including footnotes and anecdotes from characters within the world of Vampire: The Requiem.